To me, Christy is the epitome of fitness and strength, determination and perseverance. And she is a very busy nurse, a wonderful caring Mother, and she is also an animal lover... which alone would make me admire her! I am sure she is an awesome wife and daughter and sister, too! 1. 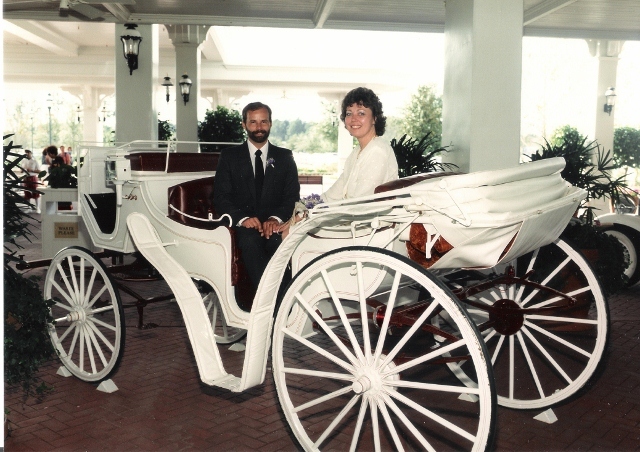 We got married at the Grand Floridian Hotel at Disney World in Orlando, Florida on a little balcony with just a JP and a photographer. (You're not allowed to do that anymore!) Yes, it is the happiest place on Earth! It is also one of the busiest and noisiest places on Earth. If you haven't been, all I can say is 'go'. My favorite theme park there is Epcot ... I love all the national exhibits, especially Morocco and Japan ... and oh yeah, the wine tasting in France. We have been to Disney World twice now and I would jump at the opportunity to go again. 2. One day I came home from work and told The Captain that I had just booked us a trip to go snow skiing in Austria. He was thrilled. We flew to Amsterdam, Holland and then on to Frankfurt, Germany and then got on a bus for a short ride to Innsbruck where we skiied our butts off in the Alps for 10 days. We spent 3 days in Amsterdam before flying home. The skiing was wonderful... Amsterdam not so much... but interesting. 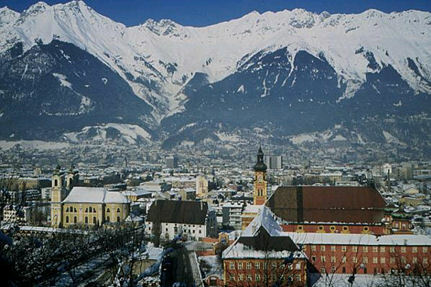 Innsbruck is surrounded by 5 ski developments. 3. I grew up in Calgary, Alberta, which is about an hour's drive East of Banff. Banff, Jasper and Yoho National Parks were basically my playground while I was growing up. And after I left home and moved to the interior of B.C., we still came back to the parks to hike, canoe, ski, camp and explore. 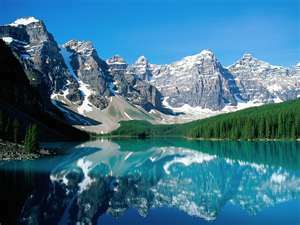 I never tire of the beautiful Canadian Rocky Mountains... and no I cannot yodel like the mountaineers but I do like hearing it! 4. 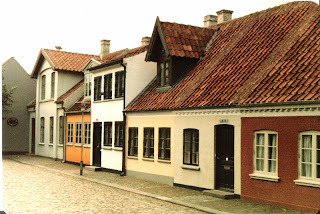 One of my favorite trips ever was on the spur of the moment to Copenhagen, Denmark. I won a flight for 2 when I purchased some teak tables. I had already used up all my vacation time at my job that year but I did manage to talk my boss into a 2 week unpaid leave so that I could use those tickets. We wandered around Denmark for 2 weeks, with a short day jaunt to Sweden for pastries, thrown into the mix. I was delighted that the Danish women had large feet and I bought a suitcase full of shoes! I never did get the tattoo that I was promising myself on Nyhaven Street... where the fmerchant marine sailors hang out! 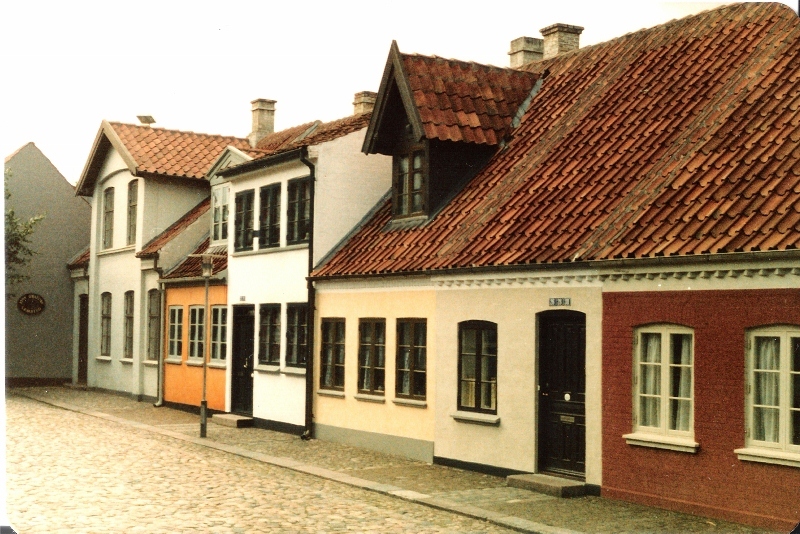 Hans Christian Andersen's house in Odense, Denmark. 5. I am always up for trip to anywhere in Canada I haven't been and in the Fall of 2008, The Captain and I flew to Halifax, N.S. where we rented a car and drove around the Maritimes for almost 5 weeks... put 8600 km on that little car. The rental agency thought we should buy it! 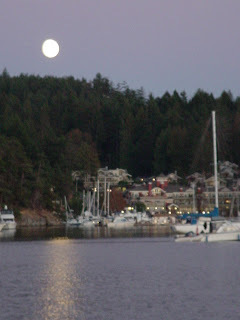 It was an awesome trip and I had prearranged a week's stay at 5 different places including 2 executive suites, one cottage, one suite in heritage guest house, and a few days at a B&B to wind up... which we used as bases for our day trips. 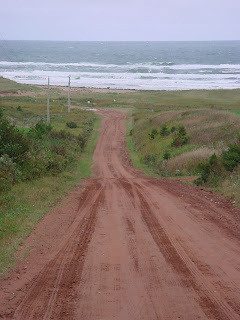 We thought we might move out to Halifax one day... and I particularly love P.E.I. because the colors are so brilliant there - green grass, red earth, blue sky and black seas. 6. I pretty much love everywhere we have ever gone on our sailboat... shortish cruises through the Canadian Gulf Islands and the American San Juan Islands. The anchorages and gunkholes are magnificent! The sunsets, the beaches, the wildflowers and the ocean... 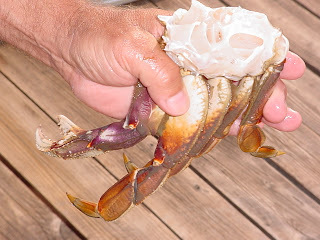 I will never forget how much we have enjoyed all the wonderful and very different people we have met and shared meals with ... and all the fresh crab! 7. When I was a kid I spent lots of time in the Summer with various relatives on farms in Southern Saskatchewan. Both my parents came from that area and so lots of my aunts and uncles were still there when I was a kid. 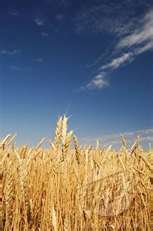 I grew to love the wide open spaces of the prairies and the brilliant hot sunshine and the beauty of the oats and wheat and rye grains dancing on the wind, in the fields. And I loved to go branding with the boys. I never did like the grasshoppers, though, or the frogs my cousins would catch and use to chase me. Oh gosh, have I really gotten to 7 already? I have so many left... but that will be for another post, I guess. 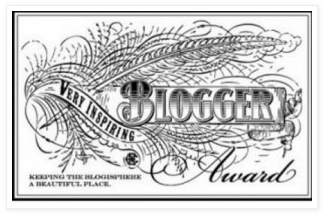 So I am supposed to name up to 15 other bloggers to honor with this award... and I know many of the ones I would choose have already been tagged... but the one blogger who comes quickly to mind and who I think deserves this title more than any other I can think of right now, is my friend Sara, who writes Words to Run By. If you are already familiar with Sara then I don't need to tell you why she inspires me... you will already know. And if you are not familiar with Sara, then you should be. Get over to her blog and read some of her posts right now! Your seven places are pretty cool! I wouldn't have guessed that you were married at Disney World :) Am particularly jealous of the skiing holiday - we've been trying to factor in one for a few years now. One day! Your travels sound amazing! I've been to a few places but never booked a trip on a whim! I need to do that and surprise the hubby! Love the pictures! I love the Grand Floridian! I'm with you- Disney is a must for everyone! It really is the happiest place on earth. I took my first ever trip on a whim the other week when I went to England for the Olympics. Best decision ever! I love spur of the moment trips to Europe! Thanks for sharing your travels. LOVED IT! all of your trips and travels sound so amazing Elle! wow! what wonderful opportunities and experiences! Love how you got married at Disney!!! What great adventures! I love Austria and Copenhagen. Need to go back! i love the wedding picture!! All those trips look like so much fun! Wow, you have been to some great places! I love that wedding photo! It's priceless. I have been meaning to scan some of my old photos and have them electronically, but that is one project I keep putting off! I bet you guys have such a great time on the boat, free to go where you please... I love that feeling. Did my last comment post? I don't see it and it was so fiiiiine. Maybe. Anyway, loving the photos, the fact that you won a trip to Europe, and that you are living life to its fullest. What anniversary are you and the Caps with the Haps coming up to? The places you have been are GORGEOUS. Thank you so much for posting these pictures. It is my dream to travel more one day and I love just seeing all the places that are there. There is so much to see in this world, and I want to see it!!! You guys have traveled to some amazing places and I am sure there are many more adventures on the horizon for you both! I love the wedding picture of you and The Captain. It's beautiful!